Regular readers of Legal Futures will know that the compliance obligation for solicitors is changing. It all began on 6 October 2011 when the Solicitors Regulatory Authority (SRA) launched a new outcomes-focused compliance regime which included a new code of conduct for solicitors. It is worth reminding readers, because it is crucial, that compliance with the SRA Handbook is a mandatory requirement. It is also worth noting that the third version of the SRA handbook was launched in April 2012, only six months after the first edition. The new handbook represents a substantial departure from a rule-based approach to regulation to one which is principles driven. This means that it is a real challenge for law firms to stay up-to-date with change in regulation: making sure you comply is time intensive. Not only that but earlier this month we heard that the SRA are considering increasing levels for fines for non compliance with the SRA Handbook from £2,000 to £250m and to £50m for individuals! New roles have also been introduced as part of these changes: compliance officer for legal practice (COLP) and for finance and administration (COFA). These will be key roles within a firm of solicitors that are responsible for overseeing the firm’s compliance and reporting breaches to the SRA. The SRA confirmed this month that firms have to nominate COLPs and COFAs from 31 May 2012, with a closing date of 31 July. Some will be nervous about accepting this onerous role. This means that firms of solicitors are seeking to recruit new staff in the area of compliance. Law firms must adequately assess their risks and how those risks affect their achievement of the SRA’s regulatory outcomes. The SRA and Law Society have issued some limited guidance on how to interpret and apply the new handbook but it’s a huge subject and extremely complex. Law firms already understand the need to ‘know their client’ but few ever think of screening their own staff. At LexisNexis we thought long and hard about how we can help our customers deal with this brave new world. After our very successful launch of practice compliance guidance, we decided to explore what else we could do to help our customers. We also spoke to customers to understand how we could ease the transition towards this principles-based regime. They told us there was more we could do to help them meet these challenges. 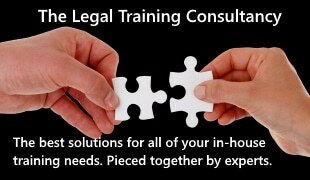 Conferences, training and webinars on compliance and practice management for law firms. We hope that Cordery Practice Compliance conveniently surfaces all of the solutions in one place, making the service the leading destination for practitioners and compliance officers. In addition to all of this, LexisNexis has announced plans to launch two new services to the market: a practice compliance healthcheck and consultancy services. The idea behind the healthcheck is to quickly survey a firm’s existing compliance systems and procedures, and then report back on their gaps. The face-to-face consultancy services can then assist busy practitioners to implement and improve their compliance using the tools that Cordery Compliance offers. The field of risk and compliance will continue to be a key area of focus for LexisNexis, just as it must remain a priority for their customers. The aim of Cordery Compliance is to remove the burden and risk of compliance with the SRA Handbook, so lawyers can focus on being lawyers.